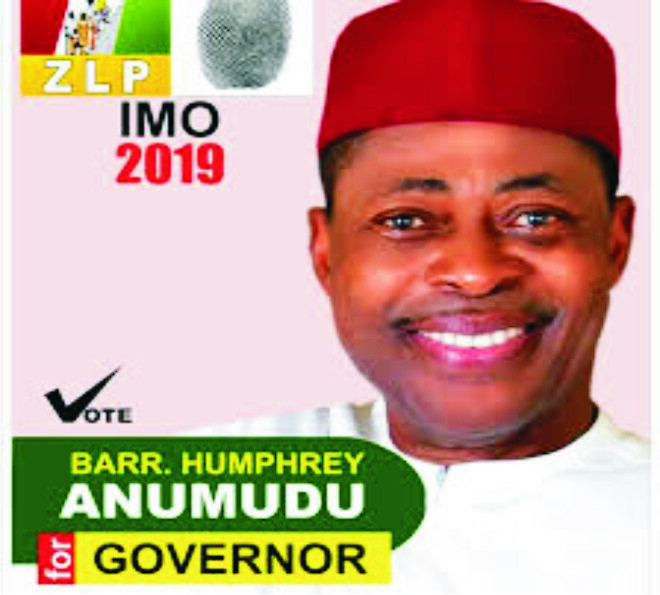 Imo women under the umbrella of Women for Anumudu have vowed to mobilize the entire women voters in the State towards the electoral victory of the Zenith Labour Party ZLP Governorship Candidate Barr. Humphrey Anumudu in the oncoming march election. In a prayer/meeting attended by thousands of women drawn from all the wards in the State, the women called on Imo electorates to vote massively for Barr. Humphrey Anumudu for the recovery and reconstruction of the State. In her speech, the ZLP State women leader Mrs. Franca Okolie Urged women to champion the cause of Anumudu victory, she described the ZLP candidate as the most fit for the governorship of the State and called for Unity of purpose among all the Party women leaders and heads of other women groups working for the success of Anumudu governorship bid. Also speaking at the occasion, the wife of the ZLP deputy Governorship candidate Lolo Pauline Dike solicited for the support of all Imo women, adding that the essence of the gathering was to commence an aggressive booth to booth and home to home campaign/sensitization for the enthronement of an Anumudu government come May 29th, 2019. She charged the women to take the massage of Imo recovery/reconstruction which Anumudu governorship ambition represents to every corner of the State arguing that women are the worst hit under any bad government. Lolo Dike urged, Imo women to shun discredited politicians and their Greek gift but to rather vote for Barr. Humphrey Anumudu whom she described as a credible and competent person with no corrupt tendency. And assured women of their welfare under an Anumudu regime. Going memory lane, Lolo Dike recalled how Anumudu conceded his PDP Governorship ticket in 1999 to Chief Udenwa, thereby making it possible for Orlu zone to produce their first Governor, a gesture she posited, Orlu zone has decided to reciprocate in the March election. The ZLF State Chairman Hon Pascal Ogu in a brief speech, beckoned on women to be steadfast until Anumudu victory is realized. He paid tributes to women as pillars of hope for the expected Anumudu victory and called on Orlu zone to repay Anumudu political gesture to the zone in 1999 by voting en masse for him. Hon. Ogu lamented the poor State of infrastructure in the State and promised that Barr. Anumudu on assumption of office, shall redress the situation by providing massive quality infrastructural projects across the State. Also the State ZLP secretary Barr. Osuji assured the women of the preparedness of the party for the election and charged them not to relent until victory is achieved. The State coordinator of Imo Women for Anumudu. Hon. Mrs. Chinedu Akalosu in her speech urged the women to carry the gospel of Anumudu governorship to every home in the state, Hon. Akalosu said this massage must be taken to every corner of the state with determination and vigor. She called for unity among all Imo women in the project Anumudu governorship irrespective of party inclinations since according to her, the common interest of Imo State which Anumudu symbolizes is greater than party affiliation, she argued that the poor State of Imo needs a very credible and competent hand to reposition the state for greatness again. She told the gathering that Anumudu with an impeccable record of achievements and strong character is the governor Imo State needs at this critical period of her history. And prayed for the realization of Anumudu governorship ambition. Also lending his voice, Mrs. Ohakwe, the Owerri Zonal women coordinator for Anumudu urged Imo women to work for the realization of an Anumudu governorship whom she described as a humble and credible person. The ZLP deputy governorship candidate, Rt. Hon. Okay Dike expressed joy at the gathering and called on Imo women to spear head the campaigns for the realization of Anumudu governorship bid. He assured the women of every necessary support to facilitate their work and challenged them to remain resolute until victory is realized. Rt. Hon. Dike posited that Barr. Humphrey Anumudu is the best for the job and called on Imo people to vote massively for him. Among those who attended the gathering were leaders of various women groups working for Anumudu Governorship and a renowned gospel singer Ada Jesus.